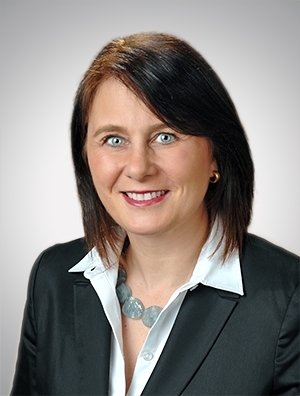 Sarah Ames is a Partner at the Chicago office of the national law firm Quarles & Brady LLP. She represents multinational companies and their U.S. subsidiaries with regard to corporate, commercial, employment and immigration matters. Many of her clients have been doing business in the U.S. for decades and a growing number are just starting out in the U.S. and seek comprehensive legal services with regard to all aspects of starting a business in the U.S.
Sarah was born and raised in Heidelberg, Germany and attended the University of Hamburg School of Law in Hamburg, Germany before coming to the U.S. to earn a Master's Degree in German Literature from the University of Alabama and a Juris Doctor from the University of Alabama School of Law. She has been practicing law in Chicago since 1997. In her free time Sarah is an avid world traveler and marathon runner. According to available records she is the only woman to ever run 5 marathons on each of the 7 continents and is the first German woman to run a marathon at the geographic North Pole. In 2016 she completed 7 marathons on 7 continents in 7 days and raised funds for the Hamlin Fistula Hospital in Addis Ababa, Ethiopia which was founded by Dr. Catherine Hamlin, from Sydney and her late husband Dr. Reginald Hamlin from New Zealand. In addition to serving on the board of ANZACC Midwest, Sarah is the Chairwoman of the Heidelberg Club International Chicago Chapter and the past Chairwoman of the International Fistula Alliance and Hamlin Fistula USA.